Finally the World Cup 2014 is right around the corner! On June 14th the World cup will kick off in Brazil and we can’t wait to see all of the different team match up and play. 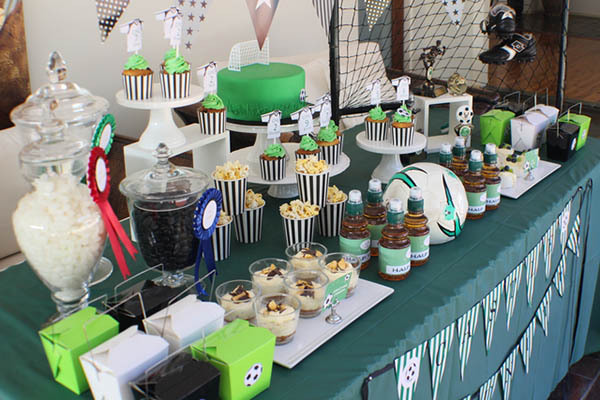 It is a definite cause for celebration and today we have rounded up some of our all time favorite soccer parties. 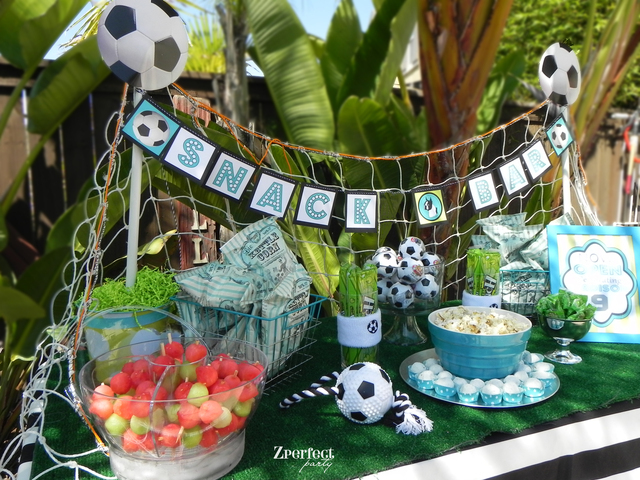 Whether you are celebrating the World cup, your soccer team, or your little girls or boys birthday, a soccer party can have some of the most lovely details to celebrate. 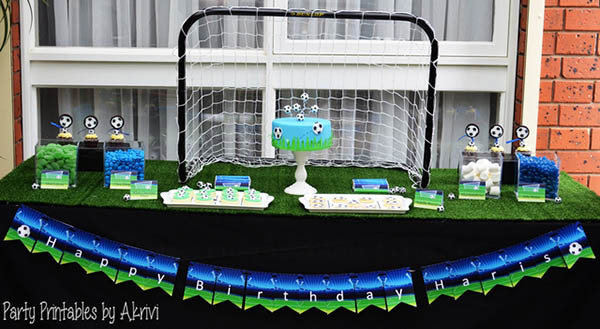 Just think about how adorable a soccer net backdrop sounds! There are also a ton of ideas to use for a soccer ball too. 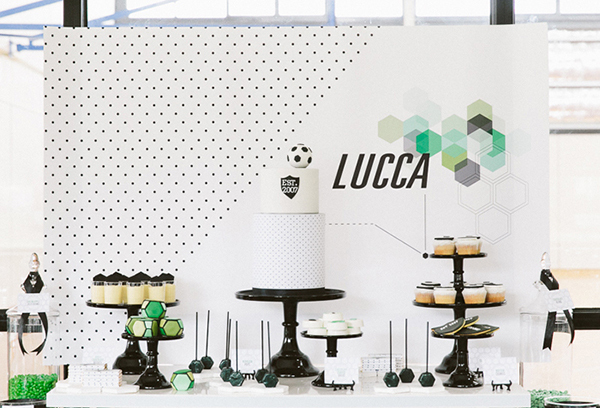 Anything from cupcakes to banners, treat toppers to mini chocolates, soccer balls look amazing on everything. 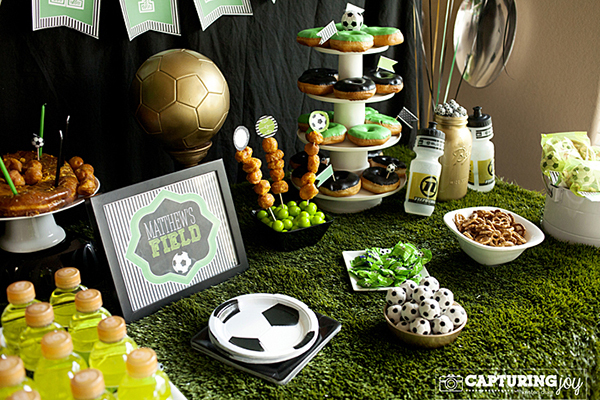 There are so many ideas and inspirations in all of these soccer parties we can’t decide which one is our favorite. There are really sporty ones to really girly ones and everything in between. 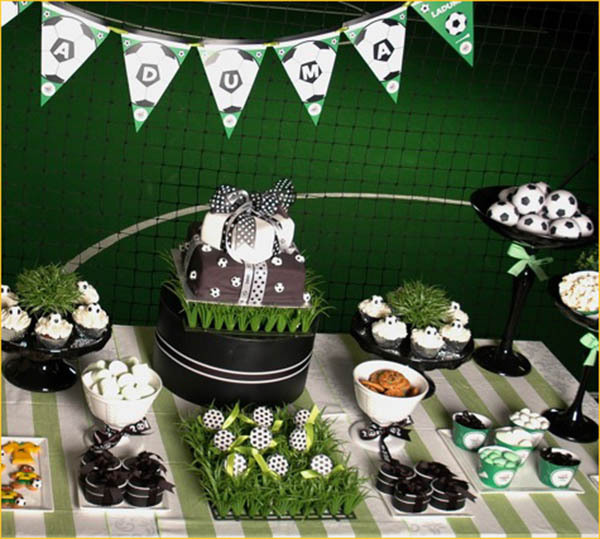 That is the great thing about soccer parties, they can be styled exactly to your liking. 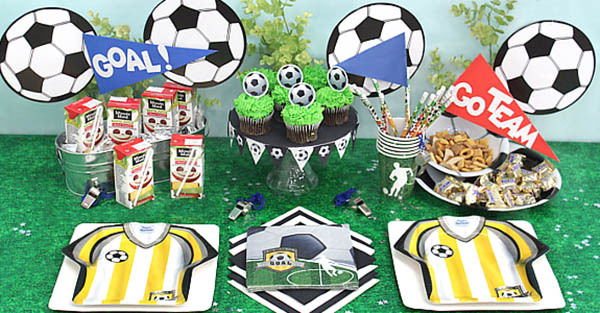 Let’s get to these lovely soccer party ideas! 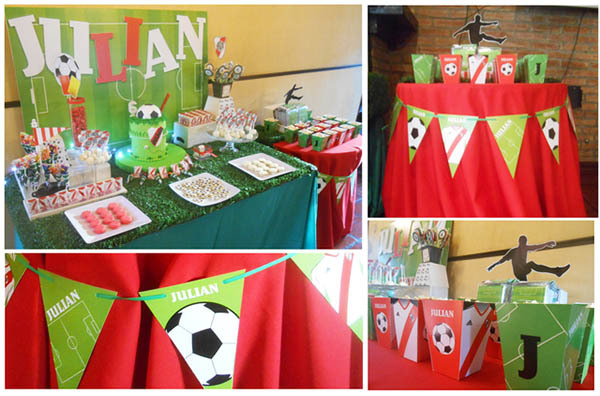 Thanks for sharing our soccer party, what a great round up! Glad you liked it! 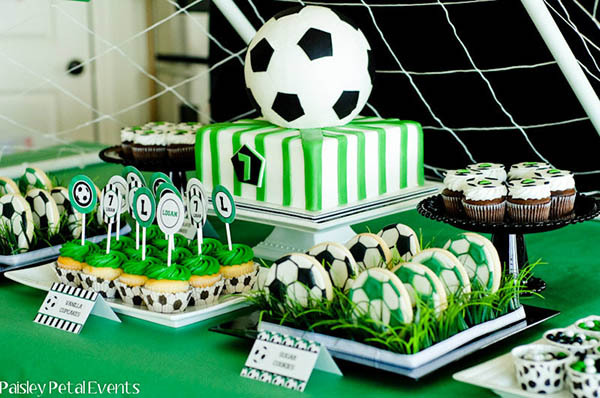 Awesome Soccer Party! Thank you so much for sharing….Love all of them ! 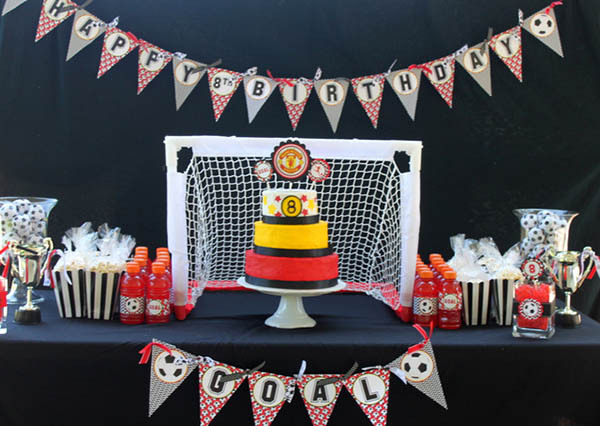 Thanks so much for adding my Manchester United Soccer party! Love all the party ideas you posted. Thanks for sharing! Oh yeah of course! It is totally Lovely!